The landscape of the Restaurant Industry has changed dramatically in the last decade. The National Restaurant Association states that consumers spend nearly half of their food budget at restaurants. However, restaurants struggle for profitability. Many of their costs are uncontrollable; such as energy, utilities, ingredients and rent; and are continuing to rise. Restaurants and especially restaurant groups are forced to reduce the resource they have most control over; their workforce. The most logical first step is to bring in new technology. The challenge is that being people-to-people businesses, restaurants must carefully balance the introduction of productivity boosting technology which surprisingly means focusing on hiring practices and winning the best workers. Technology is revolutionizing the food and restaurant industry with 81 percent of restaurants reporting to use a POS or electronic register system. Further, the emergence of Restaurant Management Software such as Ctuit, and Computerized Control Systems, such as Aloha and Squirrel, give restaurants the ability to track inventory and food cost percentage. They also show net sales, table turn-time, gratuity, total guests, labor cost percentage, payroll reports, and a breakdown of all service types and payment methods for restaurants; making it easier to track and manage restaurant operations. However, with these prospective benefits come possible drawback of short-changing the hiring process; with technology the requirement for the best employee becomes critical. With nearly 14 and a half million employees in 2016, restaurants are among the largest private-sector employers in the United States according to the National Restaurant Association and the hospitality industry currently has the 3rd highest demand for temporary employees, out of all industries. 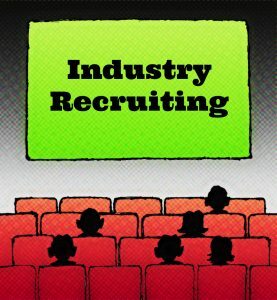 In spite of that, with the influx of technology, the increased demand for broadly skilled and highly technical individuals within the industry can cause restaurants and restaurant groups to settle for an OK candidate, who may not be the best fit in terms of position qualifications and the company’s culture. Awaiting the ideal candidate helps a restaurant provide quality service, but it also may leave a restaurant short-staffed and cause a loss of productivity from not having an employee in that position. The problem is that one bad hire can take a heavy toll on a restaurant’s reputation; and in today’s digital age with local consumer review outlets, like Yelp and Google, the consequences can be long-lasting. The cost of a bad hire can vary, contingent on the level of the employee and their salary, whether their entry level, management or c-level, and how long they’ve been working at the company. The cost of a bad hire also takes account of the costs of training the employee, Human Resources staff costs, the costs of employees who have spent time in the interviewing process, as well as the cost of marketing the position on various job boards. The table below breaks down how bad hire costs are incurred. Few restaurants and only a few of the larger restaurant groups have permanent hiring managers. Most jobs are filled with requisitions posted to Indeed, Monster or the local paper, even for managers and bookkeepers. The lack of a professional hiring manager puts restaurants in a declining cycle of hiring candidates who are not service-oriented, and that stay at the restaurant just long enough to find another job. Still, there is no reason for restaurants not to have the expertise of hiring managers. The 2GO Companies offer as needed or retained hiring professionals. Further, full financial guidance can be supplied by our consulting CFOs or they can just be used check the qualifications of bookkeepers, accountants and productivity tools. Our experts at CFOs2GO understand the industry, the terminologies and speak the language while dealing with hiring managers, restaurants owners and candidates. We have a multitude of connections with top-notch industry talent, a pipeline of candidates that have been established and built trust with over the years. Our experts know the value of each position and can help ascertain what skill best fits the needs of the restaurant; finding the right balance between human workforce and technology. The changing landscape in the restaurant industry and the increased presence of technology has brought huge advancements but has come with its challenges. The need for industry expertise and knowledge is increasingly important to avoid mis-hires and incurring the cost of high turnover. CFOs2GO has the expertise to help restaurant and restaurant groups identify their needs and the most cost effective solutions, whether it be human capital, technological solution or the combination of both. “2016 Restaurant Industry POCKET FACTBOOK,” National Restaurant Association, 2016, accessed December 26, 2016, http://www.restaurant.org/News-Research/PocketFactbook2016_LetterSize-FINAL.pdf. “California Restaurant Industry at a Glance,” National Restaurant Association, 2016, accessed December 26, 2016, http://www.restaurant.org/Downloads/PDFs/State-Statistics/2016/CA_Restaurants2016. Mwape is a member of CFOs2GO’s recruiting team. Her emphasis is on the International, and Food & Beverage practice groups, where she incorporates her 6 years of experience as a Concessions Manager and Hospitality Manager and her international background. She is a team player demonstrating a high-level of accuracy and thoroughness; frequently acknowledged for her aptitude to work independently as well as collaboratively and take initiative, ownership, and accountability. Her clients and candidates benefit from her personalized service, experience, and passion for her work. Her knowledge of the candidate marketplace, and best practices in recruiting allow her to offer direction and acumen along the way. Mwape speaks Chinese and has studied French, Spanish, Zulu and Afrikaans.